The Gospel Music Association (GMA) announced another round of all-star performances for the 49th Annual GMA Dove Awards, including GRAMMY® award-winning duo for KING & COUNTRY, burgeoning gospel star Jekalyn Carr, hip hop act Social Club Misfits and award-winning singer-songwriter Zach Williams. 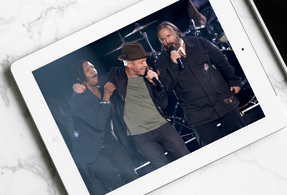 The Gospel Music Association (GMA) announced another round of all-star performances for the 49th Annual GMA Dove Awards, including award-winning singer-songwriter Lauren Daigle, a Newsboys reunion celebrating the band’s 25th anniversary, a duet by chart-topping recording artist Natalie Grant and rising star Koryn Hawthorne, and a first-time Dove Awards performance by GRAMMY® nominated artist Tori Kelly featuring gospel legend Kirk Franklin. The Gospel Music Association (GMA) announced the first round of all star performers for the 49th Annual GMA Dove Awards, set for October 16 at Lipscomb University’s Allen Arena in Nashville. 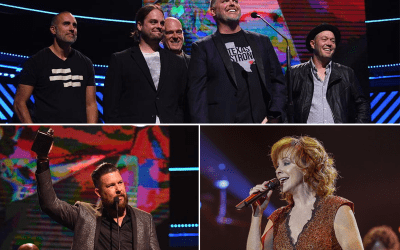 The Gospel Music Association (GMA) announced today the nominees for the 49th Annual GMA Dove Awards, revealed exclusively on Facebook Live with the help of Travis Greene and Francesca Battistelli. Tonight, the Gospel Music Association (GMA) handed out honors in 39 categories at the 48th Annual GMA Dove Awards plus special industry recognitions at Lipscomb University’s Allen Arena in Nashville. Kari Jobe and Tasha Cobb Leonard hosted the sold-out show and Trinity Broadcasting Network (TBN) will exclusively air the awards show on October 22 at 8 p.m. CST. Visit DoveAwards.com for more information.